This weekend is Mother’s Day, so might as well dig out this ol’ chestnut. This is a rough demo but hopefully it gets the idea across: a gentle tribute to mother turns into a loud rock number, then it sort of excuses itself and returns to more mom-appropriate music. More or less. I think this is the first song I ever wrote. 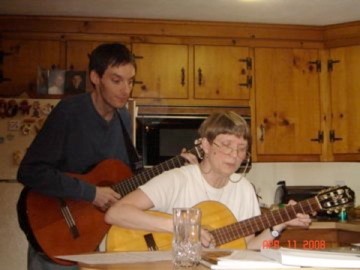 My mother bought me my first (and so far only) guitar several years ago, which is a great example of how supportive, loving and encouraging she has always been with my (often weird) creative pursuits. Happy Mother’s Day to my awesome mother and to all of the mothers out there!